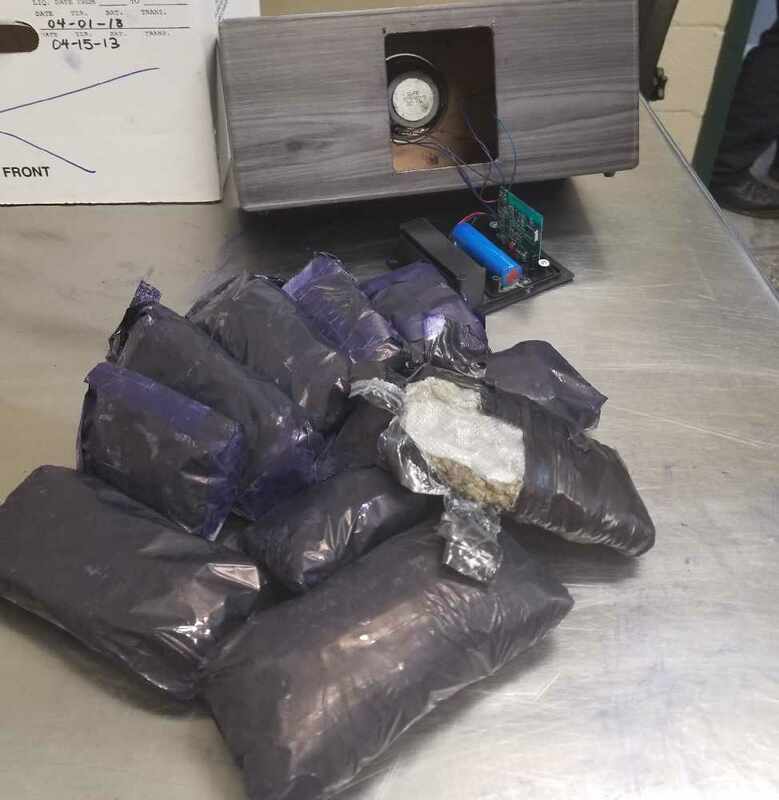 U.S. Customs and Border Protection officers found almost two pounds of pot, hidden inside a speaker at the Peace Bridge border. They say they found 10 vacuum sealed packaged wrapped in electrical tape and carbon paper. A 29 year old man from the Netherlands tried to cross the Fort Erie border in a taxi on Tuesday. He told the officers that he was returning from a trip to Niagara Falls. He has been charged with marijuana possession.